Frame Work of Dressing trolley with dustbin is made of heavy duty angles. It comes with stainless steel bowl size 32cm and Bottle Rack. The Trolley is mounted on 10 cms castors. 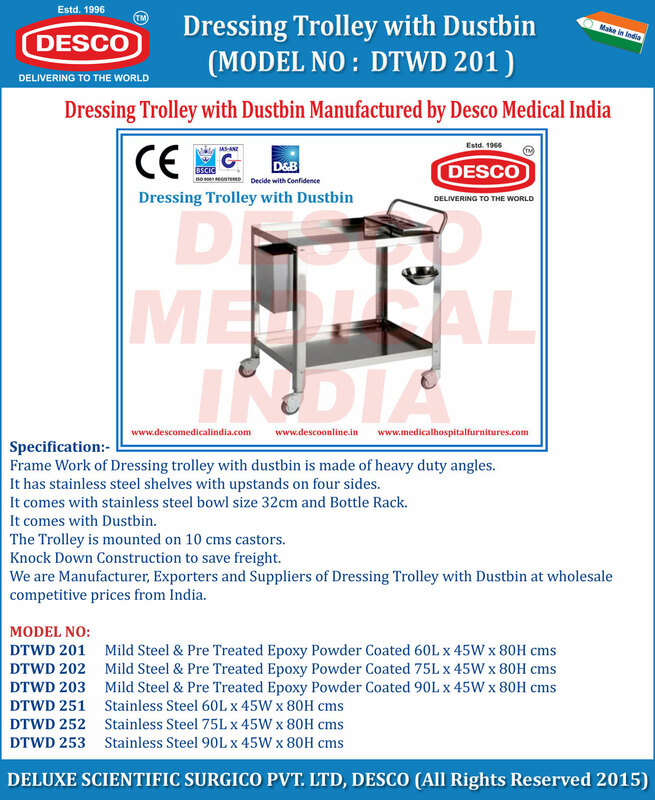 We are Manufacturer, Exporters and Suppliers of Dressing Trolley with Dustbin at wholesale competitive prices from India.